Stop by Fallon Aviation for all your flying needs! SunSetter - LED PAR 36 Landing Light. GE4505, GE4509, GE4313, GE4591, GE4594, GE4595 GE4596, GE Q4631. — Low current allows continuous utilization in ALL phases of flight to dramatically increase visual aircraft recognition. SK2043C aircraft tire service adaptor. This popular gooseneck coupling is for aircraft tire and strut servicing. Brass construction and features replaceable nut and gasket. ASA 2019 FAR/AIM. The 2019 FAR/AIM book continues this tradition, containing complete and up-to-date information from Titles 14 and 49 of the Code of Federal Regulations (14 and 49 CFR) pertinent to General Aviation, Sport Pilots, Flight Instructors, and Unmanned Aircraft System (UAS) operators, combined with the. For the pilot who needs to carry more, this folding knee board provides maximum storage space, encourages cockpit organization, and serves as the pilot's desk during flight. The center panel holds the knee board under clear plastic with a pen/pencil holder and buttonholes on either side. Constructed of sturdy, clear plastic with easy-to-read numbers and scales. Quick scale reference is provided for both statute and nautical miles. Non-slip rotating azimuth eases flight planning. Made in Korea. Color coded cans for easy lockwire identification. Our exclusive recyclable canister is molded from high density polyethylene. Unlike standard paper canisters, Malin’s Lockwire Dispensing Canisters won’t degrade and they will keep your wire free of grease and other corrosive materials. Bell 206 L 1 Helicopter main drive shaft torn down for inspection of groo. ve on shaft. Scratch was within tolerance as records show. All paperwork included. This brushed aluminum kneeboard is a great way to organize your flight data, providing a strong surface for inflight note taking as well as quick access to important VFR information in the form of a permanent placard. Flyboys Pilot Kneeboard IFR/VFR - Desert Tan. Combat tested in Kosovo, Iraq, Afghanistan, and Operation Iraqi Freedom.everywhere US airpower rules the skies. Stop by Fallon Aviation for all your flying needs! JEPPESEN STANDARD PILOT LOGBOOK Hardcover p/n 10001315. Crafted with durability and a highly functional design. Printed on "easy on the eyes" green paper that resists ink bleed through and bound in a scuff resistant cover. Purchased from Van’s Aircraft for my project. I used the baffle flange but didn’t need this oil cooler flange and duct. These sell now for $55 from Aircraft Spruce, including the baffle flange which is not included in this sale. Sold with all parts shown, no reserve. Gear warning horn for WW2 aircraft. Fit several models. Verify your application by part number. Still in wrapper. See pics rare find. They fit all H10 series headsets and many others. Will fit the following headsets. H10-56N, H10-60, H10-60C, H10-60H, H10-66, H10-66N, H10-76, H3391, H3392, H3430, H3432, H3492, H4230, H4240, H4290, H6020, H6030, H6040, H6041, H6045, H6090, H6620i, H6640i, H6645i, H7240, H7245, H7245/230V, H8532, H8535, H8542, H9530, H9540, H9832, H9842, H9842BK, 12416G-23, 40411G-05, 40411G-16, 40493G-01, 40642G-01, 40642G-02, 40659G-01, 40665G-02, 40683G-02, 40685G-01. Milbar Safety Wire Pliers/Twister - 6 - Small - Right Hand. Now you can twist safety wire in tight spots with fast operation. New diagonal nose with cushion throat jaw design holds wires firmly without nicks or scrapes. 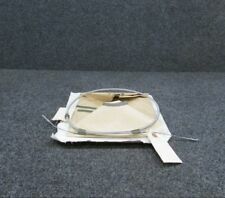 Aircraft Part For Sale : Aircraft Neon Lamp Manufacturer IFR. =========================================================================================================. P/N Model Kit No 507:69. Aircraft Model For Sale : Lindberg Line Midget Mustang (Midget Racing Plane Kit No. 421). P/N Kit No 421. =========================================================================================================. Heli Model For Sale : Idea Model Hughes 500D Helicopter Large Scale 1/24. P/N Hughes 500D. =========================================================================================================. They get brittle with age and will crack for no reason. It is made out of an ABS type plastic and is light black in color, very close to the Bose color. Need a custom headset?. NAS594-40 2.5” Rigid Tube Connector Coupling, SS CRES. Shipped with Economy Shipping. AN913-16D MS20913-16D 2” External Square Head NPT Pipe Plug, Aluminum. Shipped with Economy Shipping. AN827-20D 1.25” Flared Tube Cross, Aluminum. Shipped with Economy Shipping. Here we have 1 each P/N: AN5012-20 # 20 Spine Crankshaft Cap, Plastic in New & Unused Surplus condition. This Protective Cap can be used on all # 20 Spline Shaft engines. 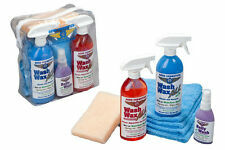 It's used on various Aircraft engines like, Stearman, Waco, Lycoming R-680 & Continentals W- 670. Aircraft Static Port Test Adapter. and 1/8" NPT to 1/4" tubing adapter. Complete with 12 feet of tubing. Relay Solenoid RYU -I/A for use in 28 V.D.C systems. AN839-24D 1.5” Flared Tube Bulkhead To 1.5” OD Flexible Tube 45deg Elbow. Shipped with Economy Shipping. NAS1239K8 NAS1239-CF8 1/2” Flareless Tube 45deg Elbow, 316SS. Shipped with Economy Shipping. 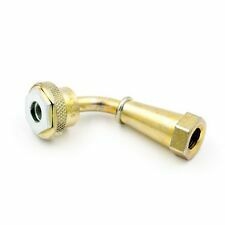 NAS593-16 1” Rigid Tube Connector Nut, Aluminum. Shipped with Economy Shipping. AN919-13K 5/8” to 1/4” Flared Tube Union Reducer, 316SS. Shipped with Economy Shipping. AN919-13D 3/4” to 1/4” Flared Tube Union Reducer, 347 stainless. Shipped with Economy Shipping. 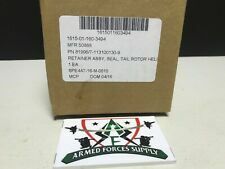 100 each #6-32 Military Standards p/n: MS21075-L06E Anchor Nut Plates. 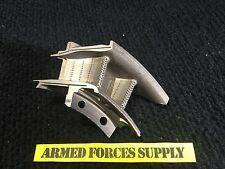 These are the type with the Floating Eyelets, Reduced Rivet Spacing, Low Height, 450 Degree Steel Nut Plate Assemblies in new surplus condition. The Boeing part number is65B05493-1. It has a Authorized Release Certificate from the UK Civil Aviation Authority. NAS593-6 3/8” Rigid Tube Connecror Nut. Shipped with Economy Shipping. Aircraft Model For Sale : Nichimo Cessna Skyhawk Series No. 16. =========================================================================================================. UFQ Super Light weight in-ear Aviation Headset UFQ L1 pilot headsets. Quiet as ANR - Comfortable like nothing else ! A Free good quality headset bag is included for each headset pilot headset! World’s Lightest Aviation Headset only 130g weight ! Aircraft Airspeed Indicator 160 Knots Mitchell Aircraft Products Inc. If you're a licensed pilot of small planes such as Cessnas or Pipers, you understand that aviation is all about preparedness. As such, you may wish to augment your pilot supplies with extra aircraft parts in case they are needed. In addition, your plane will benefit from various aviation accessories that will enhance your aircraft safety and reliability ratings as well as the experience of flying overall. What are some aircraft parts you should have available? Firstly, you should acquire a few sets of aerospace hardware. This is a general term to denote several basic replacement parts for various aircraft. In general, you should try to pick up several each of screws, clamps, pins, washers, and bushings. Aircraft parts in each of these products categories are useful in some way to the workings of your plane. Next, you should consider getting some back-ups of any clocks, gauges, dials, and other such navigational aircraft parts for your airplane. There may be situations where you need to replace one or more. Timely, accurate readings from your aerospace instruments are essential to your safety and well-being while in the air. Because landing and tail lights are an important safety feature for both you and anyone in proximity, you should keep a few spare lights on hand in case you find one that needs replacing. You can purchase the light fixtures, bulbs, or both. What aviation accessories are especially beneficial? One of the simple yet vital aviation accessories you can buy is a headset. Headsets allow you to communicate with a passenger if you have one aboard. If you have antennae and radio capabilities installed, you'll use your headset for outbound communication as well. You can even purchase protective bags for your aviation headset that come pre-loaded with extra parts for your convenience. A GPS from a trusted brand such as Garmin is a very valuable navigation tool in the skies. Thanks to its portability and versatility, a GPS can replace bulkier maps that can be hard to use and read in the small cabin of an aircraft.